The fishing vessel Anyo Maru No. 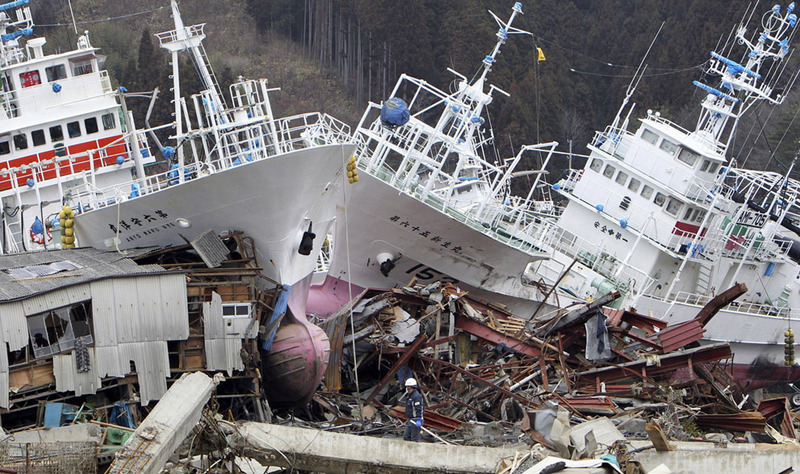 6 was struck by the tsunami while berthed in Kesennuma, Japan. The 235 dwt vessel was push onto the shore.